Taller, faster and leaner than their English counterparts, American Bulldogs are sturdy, muscular, quick and heavy-boned—yet they are remarkably light on their feet. Their powerful, bulky heads have box-like muzzles, black or brown noses and furrowed brows. Their ears can be perky or hanging. They have powerful necks, broad chests and long, muscular legs. American Bulldogs have short, coarse coats that can come in combinations of solid white colors and combinations of white with patches of red, tan, brindle and fawn. 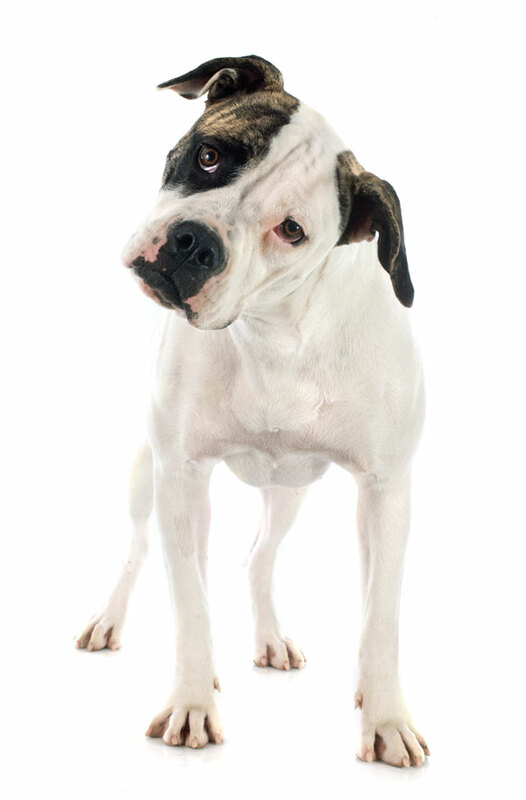 What personality traits are associated with American Bulldogs? 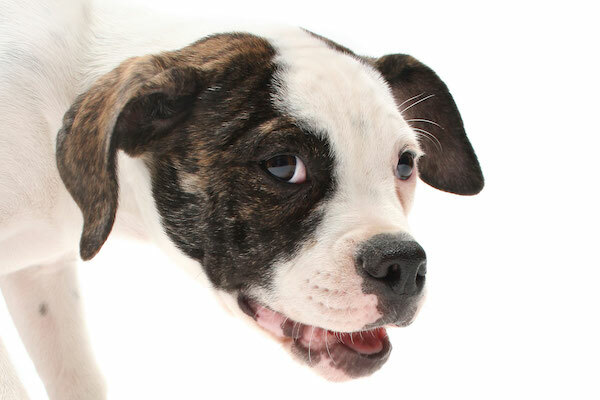 The American Bulldog is powerful and strong; friendly and outgoing. Photography by Gina Cioli/Lumina Media. Who gets along with American Bulldogs? Great family dogs, American Bulldogs are sweet to children. They love family-oriented occasions and want to be involved. With proper training and socialization, you’ll find them outgoing and exceedingly loyal. Some American Bulldogs will go to great lengths to protect their masters. Tough and determined, American Bulldogs have an impressive stamina and strength. They are always game for playtime in the back yard or working in the field. 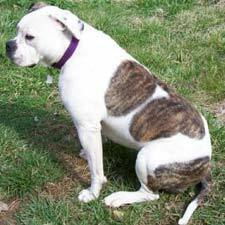 American Bulldogs are working dogs that need to move around and accomplish tasks. Probably not the best apartment dogs, they need daily walks, room to run and lots of fresh air to maintain a healthy mind and body. Being dominant dogs, American Bulldogs need either an experienced dog handler or a master with a firm hand to remind them who’s in charge. These powerful dogs are often unaware of their own strength, but with proper training and human contact—especially at an early age—they will be just as outgoing with strangers and other dogs as they are with their owners. A healthy American Bulldog can live as long as 15 years. Generally healthy, they can sometimes develop hip dysplasia. The American Bulldog boasts the size and strength of the original Bulldog. Photography by cynoclub / Shutterstock. Originally used in the 17th century for bull baiting—a wagering sport in which dogs fought bulls in a ring—Bulldogs had taller, more athletic frames (much like the Olde English Bulldogge). When bull baiting was outlawed in 1835, Bulldogs were bred to be kinder, heavier and more relaxed. However, American Bulldogs—which were brought to the U.S. before this breeding pattern—retained the size and strength of the original Bulldogs.